Excuses for delays to Tottenham Hotspur's shiny new stadium have been coming thick and fast, but we still don't know when it will open. As football clubs go, one has to admit that Tottenham Hotspur’s brand going into the summer was a strong one. 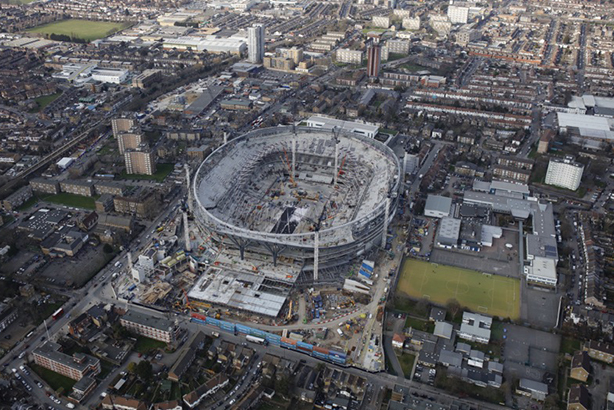 Longstanding chairman Daniel Levy has built a reputation as a shrewd businessman and his plans to open one of the country’s biggest stadiums looked to be the icing on his carefully prepared cake. Spurs have climbed towards the top of the Premier League in recent seasons and can now boast England’s only international superstar, Harry Kane. This summer, Levy also managed to hold on to one of the world’s brightest coaches, Mauricio Pochettino, who looked like being enticed to Real Madrid. But, as the current season began the glowing narrative went somewhat awry. The club had failed to make significant additions to the first team squad, with many fans concluding that finances were even tighter than usual with a glistening new stadium ready to open its gates. It was not clear however, exactly when Spurs were going to move back from playing at Wembley Stadium – their home for the past couple of years – to Tottenham. Initially it was communicated that the grand reveal would be for the match against Liverpool on 15 September. Then the club seemed to be prevaricating. Then it was confirmed that there definitely would be a delay and that some scheduled home matches couldn’t even be played at Wembley because the national stadium had other commitments. Even worse, stories began to emerge of the desperation to finish the new stadium. There were tales of sky-high overtime for workers, inefficiencies and spiralling costs. It was even written that different contractors were involved in fights, alcohol and drug abuse. At the end of September, Spurs still had not given a new completion date. Pochettino said he was "confident" it would be ready this year. "It's been radio silence from the club," said Pete Haine, secretary of the Tottenham Hotspur Supporters' Trust. "I can understand their point of view. I can understand the fact they don't want to commit to another date and then fail to meet it. As fans, we'd like to know, we'd like some certainty." One suspects all will work out in the end but at the time of writing the prolonged uncertainty appeared to be affecting performances on the pitch, too.